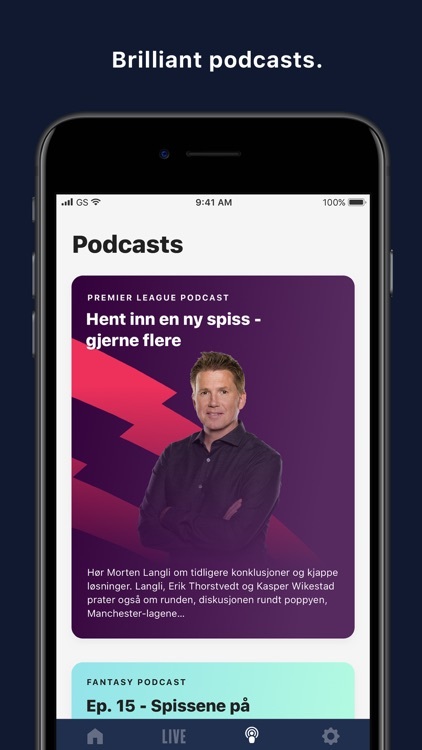 Norwegian news, live stats, highlights and matches from Premier League, Champions League and more. 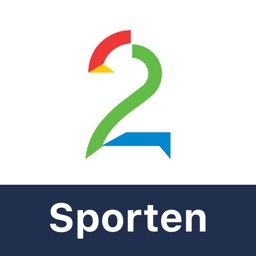 TV 2 Sporten is the freshly upgraded, free to use app from Norwegian broadcaster and media company TV 2. 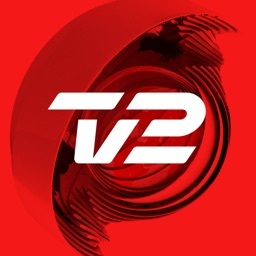 It is your best friend for all sports related news in Norwegian, including all goals and live broadcasts (requires subscription) from TV 2s football TV rights. 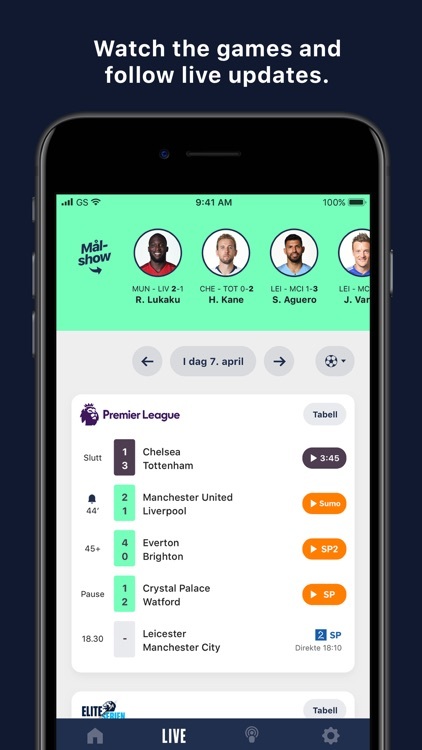 See all the goals from Premier League or Champions League whenever you want or enjoy our live streams (requires subscription) from all matches that are available on TV 2 or TV 2 Sumo. 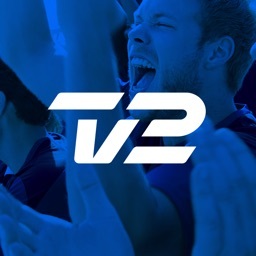 We are reintroducing the possibility to view all of TV 2s football matches in our app. 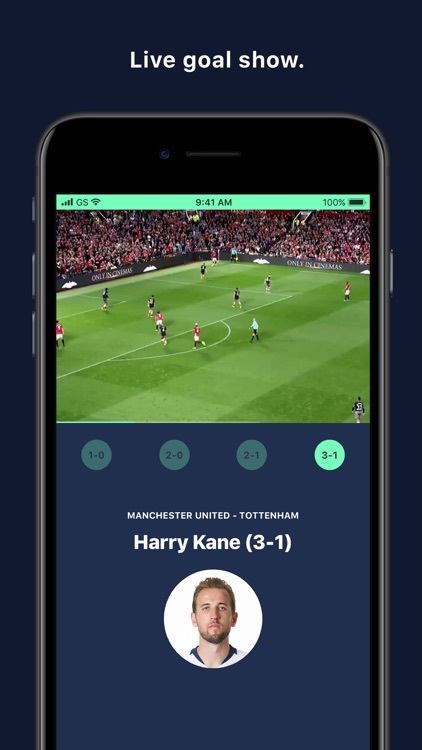 No other apps are required to watch your favorite teams’ games on your mobile device. You can also cast to your big screen through Airplay. 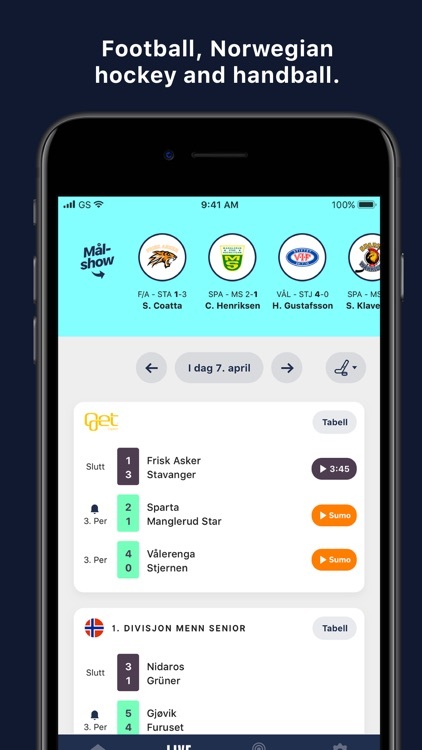 We are also proud to introduce a brand new, ad free, “Målshow” (goal show) to users who crave the latest goals right on your mobile device. 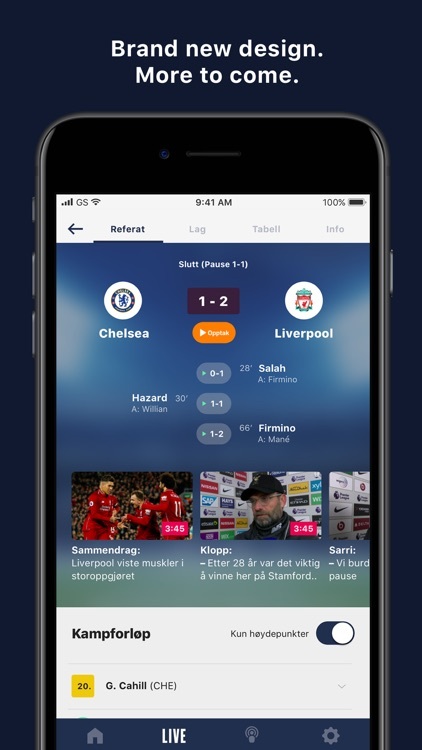 In addition to new features we are keeping your favorite features from the old TV 2 Sporten app. 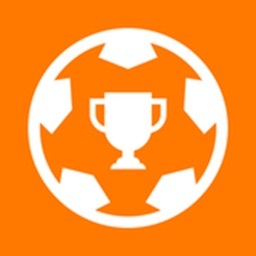 Find detailed info on the greatest clubs and national teams of the world. 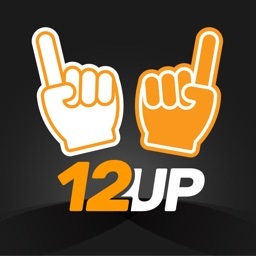 See the schedule for your team and find where you can watch the game. And the latest editorial news from TV 2 Sporten is always available in the news section. * Functionality around favorite team and favorite leagues.